Today my guest is the amazing Terah Jones. 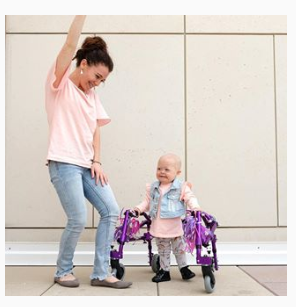 I was first captivated by Terah’s darling pictures of her cue Indy Llew on Instagram, and when I found out about her most recent battle with cancer, I have been completely drawn in by their story. You see, this conversation today with Terah is about envisioning a different future than you once thought, but embracing every step with joy. First, finding out at birth of Indy’s Down Syndrome diagnosis and coming to terms with that reality. And then getting this recent diagnosis and having your life revolve around treatments and lengthy hospital stays. What really amazes me is their perspective, their mission, and their hope. You are not going to want to miss hearing from this extraordinary mom!